Lovers of both the outdoors and luxury: rejoice! 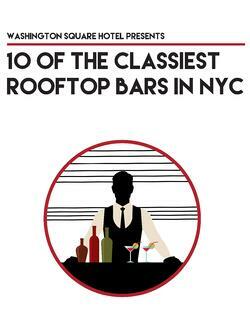 The names of 10 classy rooftop bars in Manhattan and Brooklyn. The address of each location. The names of popular drinks or suggestions on what type of drink to get (wine, beer, or mixed). Photos of the view or interior of each rooftop bar. From the Northern Territory to Lovage Rooftop & Indoor Lounge, we’ve got all the best NYC has to offer when it comes to views, vibes, and booze. Nothing says summer in the City quite like rooftop barhopping, and in order to do that, you’ve got to know where to go!